If your neighborhood contains individuals who are concerned about the collective safety of their street or block, then a neighborhood watch may be something you’ve thought about before. Neighborhood watches have been in existence in neighborhoods everywhere for many years. 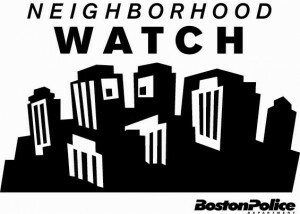 These days, there are many cities and towns which have their own official Neighborhood Watch programs, complete with all of the resources a watch might need to help keep their community safe. Although every group may have different ways of doing things, the premise is the same: to take an active role in local security endeavors. Although no community can expect to rid itself of all crime with a neighborhood watch, developing one can serve to greatly reduce criminal activity in an area. Many cities have successfully and drastically reduced their rates of crime by instituting neighborhood watches. Placing signs around an area that it is being observed for criminal activity is a big deterrent to criminals. Official law enforcement is easy to spot, as they are wearing uniforms and drive vehicles that don’t look like any other on the road. But in a neighborhood watch, anyone could be keeping their eyes open, which could mean literally hundreds of pairs of eyes. As well, a neighborhood watch encourages regular communication between neighbors. This can mean that more potential crimes are discussed, as not all crimes are reported by the media. These days, communication can be instant, such as via email and text message. As the saying goes, “An ounce of prevention is worth a pound of cure”. And this is very true where neighborhood watches are concerned. In getting together with others in your area and having the common goal of preventing crime, everyone can benefit. Most often, a neighborhood watch is started in response to a rash of burglaries or other crime in an area. Instead of assuming the role of victim, communities vow to never have to go through a similar experience again, and a neighborhood watch is born. There may also be a number of knowledgeable individuals in an area from whom having a neighborhood watch could benefit. Some examples could be former firefighters or law enforcement professionals. Accessing these resources can increase the quality of living for every neighborhood resident. The first step to starting your own neighborhood watch is to visit USA On Watch. This web site is the virtual headquarters of the neighborhood watch movement, and contains a number of valuable resources. The boundaries of the area being watched will have to be determined so that the number of ‘watchers’ can be organized. Even an area as small as five households can have a neighborhood watch. Once the area to be watched has been figured out, it will be time to recruit volunteers. This can be done by holding a presentation that includes speakers from your local police department. The presentation should, among other things, identify the concerns of residents and include the development of an action plan to reduce crime in your area. The plan could include learning crime prevention techniques and knowing how to properly report suspicious activity. If there is a technically-savvy person in your neighborhood, they may be able to create a web site that can be used to communicate updates to those households in your watch group. An area map should be developed which also shows the names, phone numbers and street number for each household in the area being watched. With the many free resources and instructions available, starting a neighborhood watch in your area can not only be much easier than you think, but serve to benefit all who live in your area for the long term. Guest author Emma Prior writes on a variety of topics, but is particularly well-versed in home security. She is a frequent contributor at http://www.homesecuritysystemsgeek.com/, a site dedicated to helping consumers navigate this subject.